Availability: This product is discontinued and no longer available for purchase. For alternatives browse our Cycle Computers department. 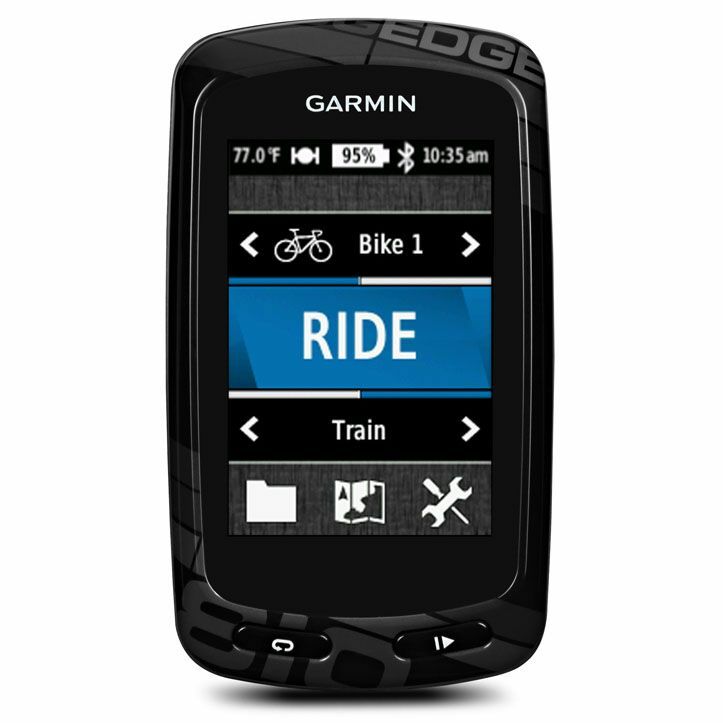 This Garmin Edge 810 GPS cycle computer adds heart rate monitoring and a speed/cadence sensor to the device’s excellent range of functions and technologies. It is waterproof so riding in the rain is possible, and the touchscreen works well even when wet. You can connect the computer to a smartphone via bluetooth to access weather warnings for your location, to transfer workout data, to share live tracking information via email and social media and to download routes and courses to compete against virtual partners. It is compatible with ANT+ sensors to measure your heart rate, and you can make profiles for different types of riding on different bikes, customise which information you see on the screen, and switch between profiles simply. for submitting product review about Garmin Edge 810 GPS Cycle Computer with HRM and Cadence Sensor.